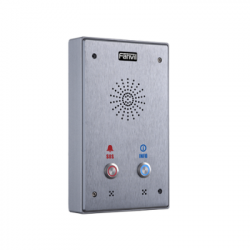 The Fanvil i12 Economic Intercom is a tamper-proof intelligent security system. It supports SIP protocol and can withstand a wide range of temperatures. This version has two buttons with a designated SOS button that can be used as an Emergency Help Point to make contact with the nearest police station or monitoring center. Grandstream's GSC3510 Intercom Speaker and Microphone is a two-way intercom that allows for any school, hospital or apartment to have a powerful voice intercom solution. 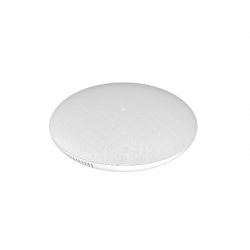 The GSC3510 expands security and communication with 2-way voice, high fidelity 8W HD speaker and a 3 directional microphone. 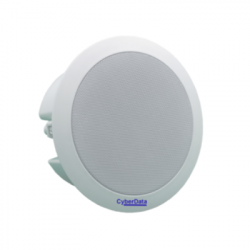 The CyberData 011458 Multicast Speaker is an economical Power-over-Ethernet (PoE 802.af) and Voice-over-IP (VoIP) public address product.